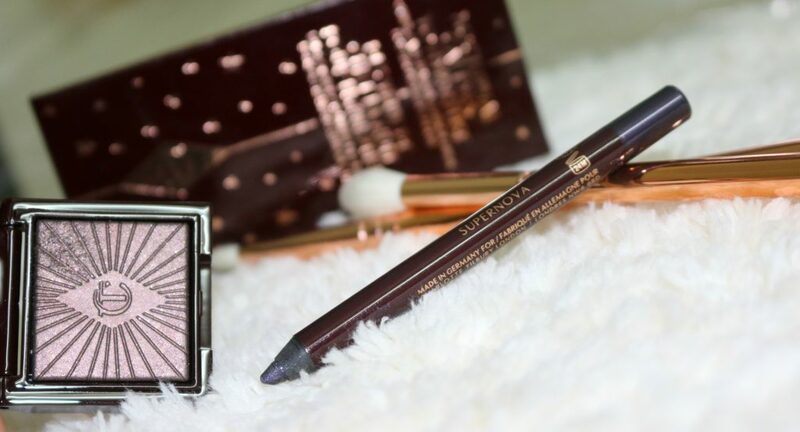 In this post, I am reviewing a Quick, Easy Shadow & Pencil Duos For The Perfect Cat Eyes. 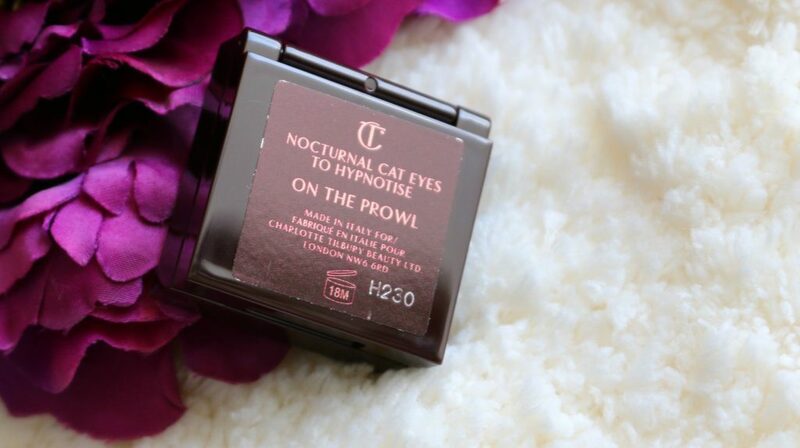 The Nocturnal Cat Eyes To Hypnotise are the perfect solution to quick, easy cat eyes for every eye colour and skin tone. Charlotte has created 4 brand new eye shadow and eye liner duos of a Nocturnal Cat Eye Shadow and mini Rock n Kohl pencil to make your eyes come alive at night. 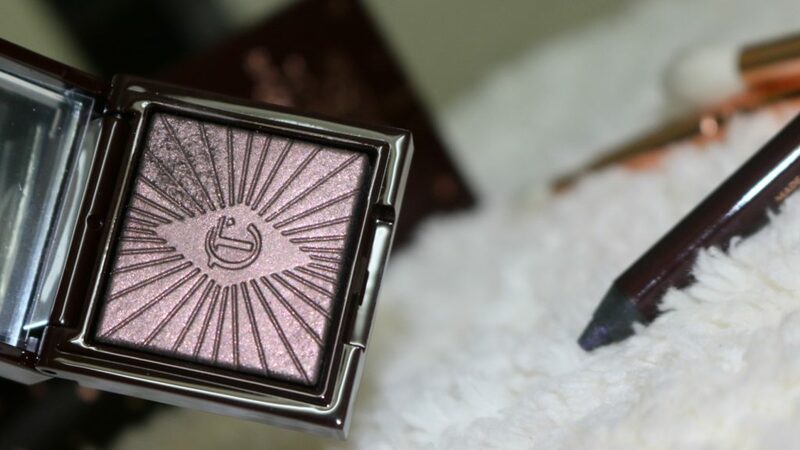 The colours are sophisticated shimmers for a smokey eye that flatters. Charlotte has always been inspired by the hypnotic gaze of wild cats in the night. The way they light up at night and entrance their victim. Charlotte has also spent years studying their shape to mimic the flick that gives the entire eye a lift. 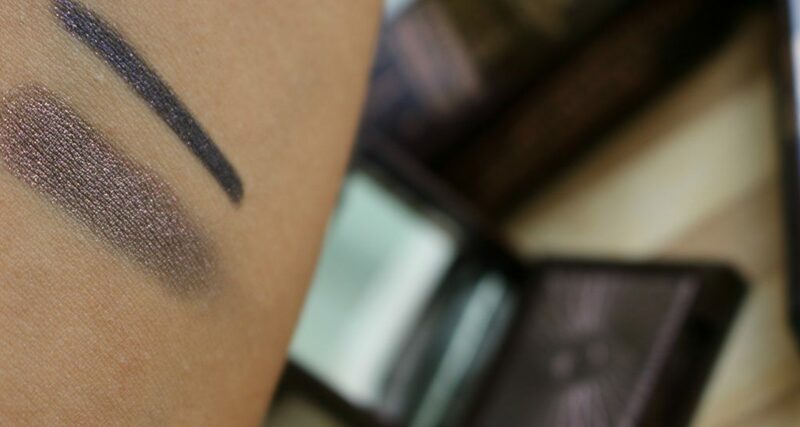 This new, unique eye shadow formulation helps to achieve this sultry look in one swipe. Paired with the award-winning, revolutionary Rock n Kohl Liquid-eye pencil, you can rock all night with out losing your kohl. 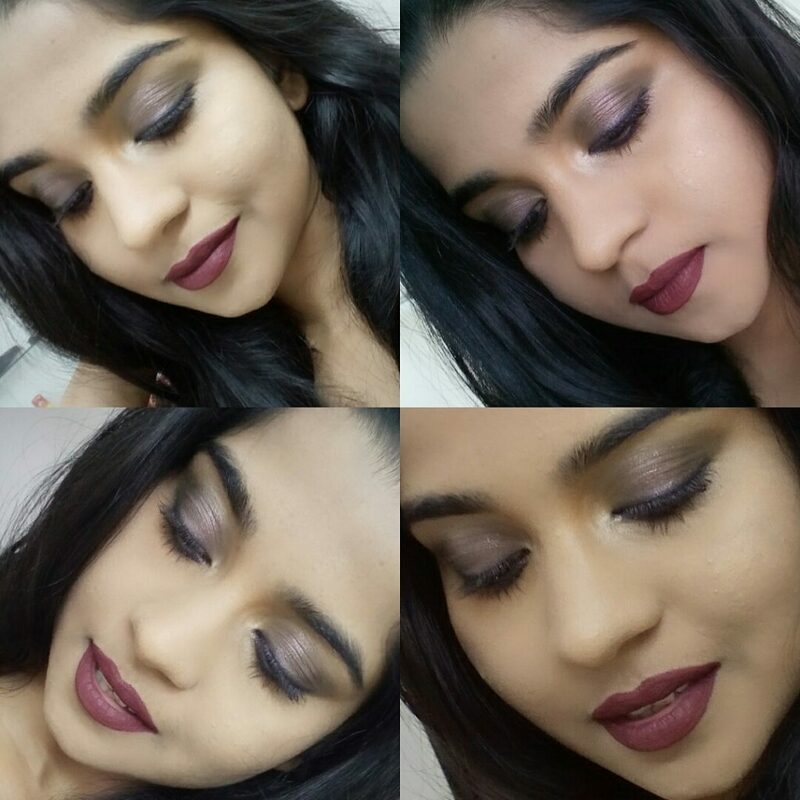 ROCK ‘N’ KOHL in ‘Supernova’ – a smoky plum shade. 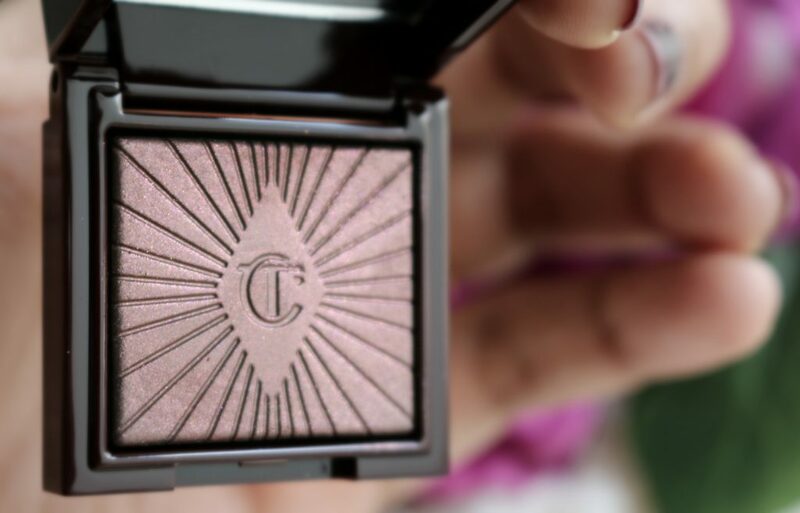 The Charlotte Tilbury Nocturnal Eyeshadows are basically the luminous eyeshadows with a multi-dimensional effect. Though they look darker – It goes one sheer-medium on first swipe. 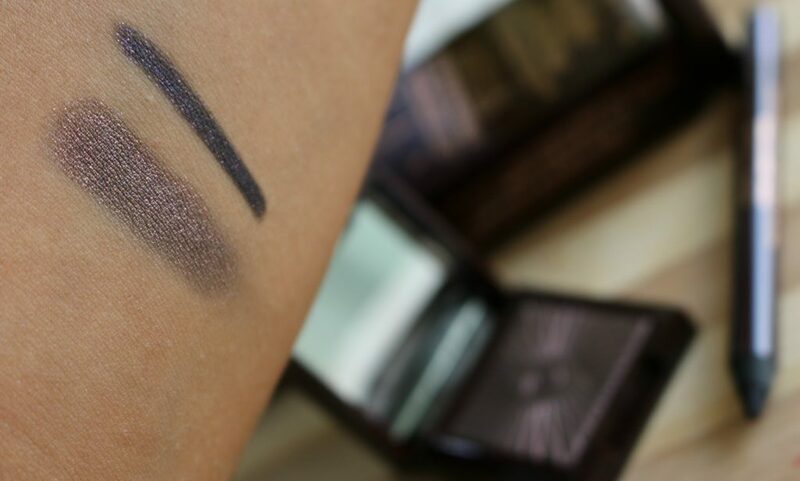 The shade and the combo are easy to build a smokey eye. You may choose to apply the eyeshadow dry or wet. When applied dry- It gives a luminous sheen of color to the lids. When applied wet- You get o see the shimmers with a metallic sheen to it. About the packaging – When I received it, I was stunned for a second to see how tiny these are and it also had a different packaging than the gold packaging which I adore. I found it little hard to open the tiny case. Almost broke my nail. The shadows come in a small mirrored compact. Compact is sturdy for the size. The mirror is so so tiny which makes it hard to see anything when using it. 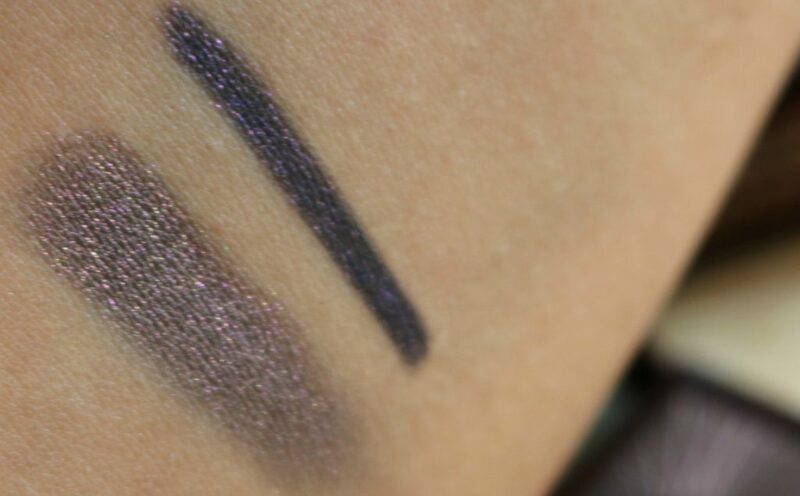 The eyeshadow ‘On the prowl’ looks brown in color, but has purple undertones to it. You’d see the purplish glitter running through it. Such a unique shade. I love it! 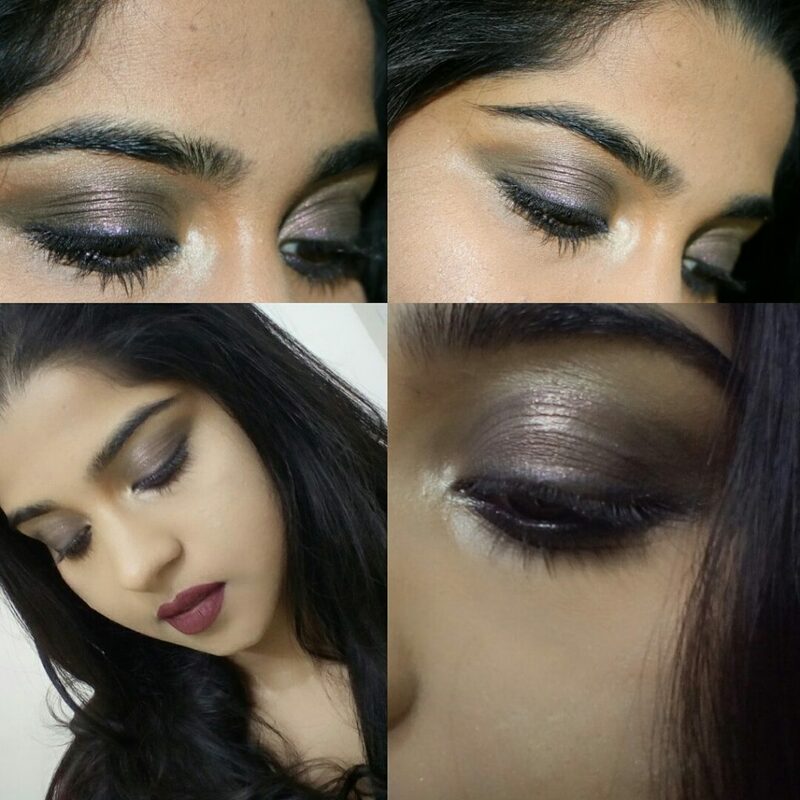 On the Prowl + Supernova – an antique byzantium aubergine flecked with pearl and partnered with a smoky plum liner. It is nicely pigmented with a really soft, blendable texture. 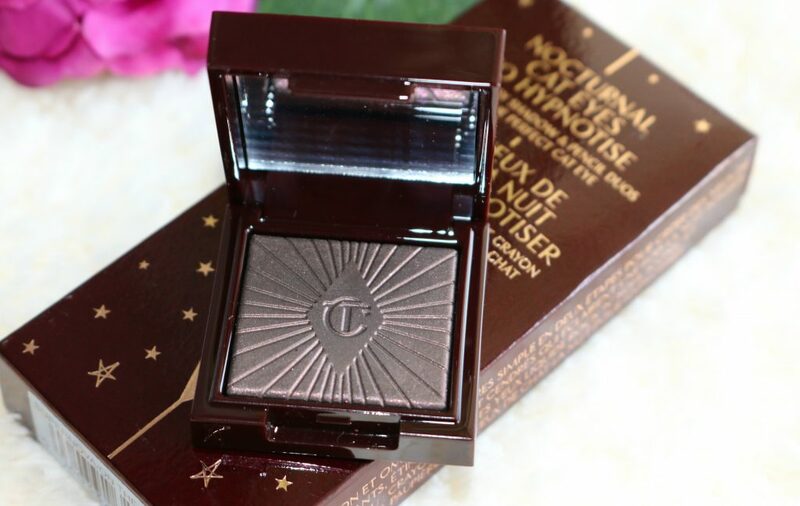 Though it look little drying on the pan- It blends and applies excellent on the eyelids. The shade is lightweight and doesn’t crease or fade even if it’s layered. I am quite impressed by the lasting power as well. It lasted for more than 7 hours on my lids. Rock n Kohl pencil – Supernova is described as a “smoky plum.” It’s a dark purple color with violet sparkles. The only con I found with this is you need a sharpener and I hate that kind of a packaging for pencils. I prefer the retractable ones. I love how nicely it applied on my eye lids and how intense and bold it is…Depending on the lighting – These shades can look different. 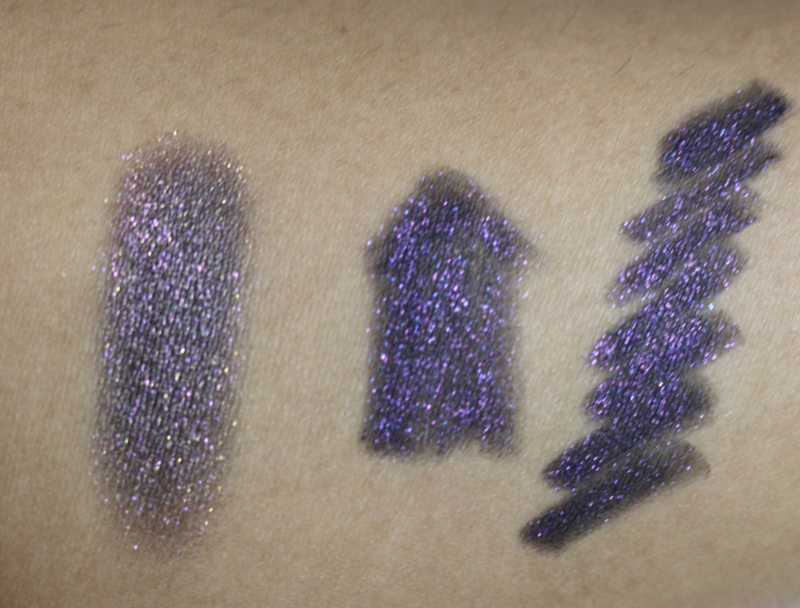 Now, the FOTDs – All swatches are taken in different lighting – See how the shade changes according to different lights. The lasting power of these are quite impressive. It’s very much long wearing. Lasted about 6-7 hours on my eyes. Apart from sharpening of the pencil -I have no complains about this. 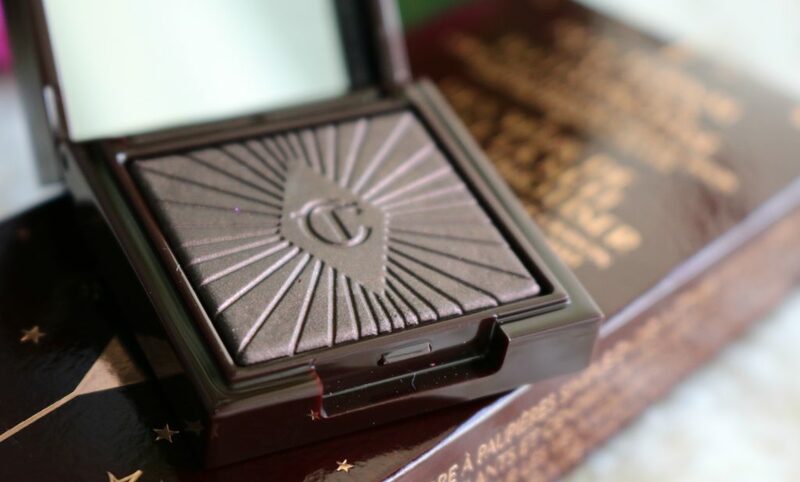 Have you tried any of the Charlotte Tilbury Nocturnal Cat Eyes to Hypnotise Makeup Duo ? Omg..that pencil ????????????. I hv one from la girl that’s just so similar… And I love shades like that.. on my dark brown eyes, purple is a very flattering color.. 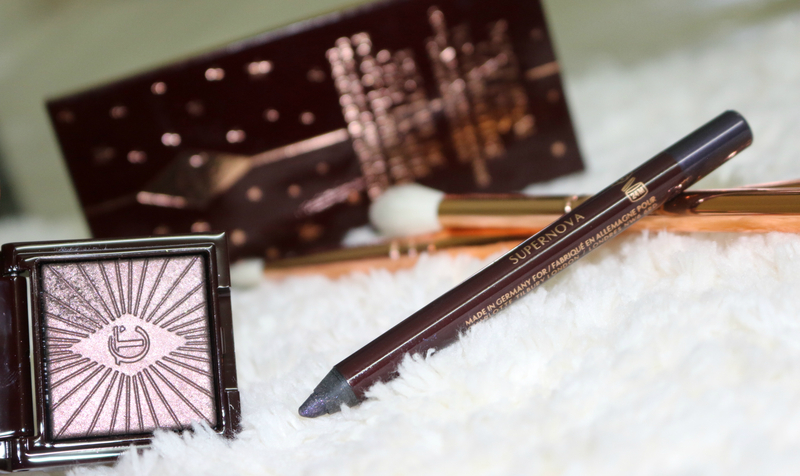 The eyeshadow and eye pencil are both so gorgeous! And I simply LOOOVVVEEE your look in these pics. You look sooo beautiful <3 . What lipstick are you wearing?